Our installation process: quick, clean and professional. 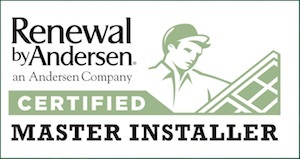 Renewal by Andersen of Alaska uses a different — and better — approach to installing top quality replacement windows and entry doors for homeowners like you. Once you’ve communicated your desired window or door style and hardware accessories with a design consultant, you will be contacted to arrange the most convenient installation time for your schedule. We have an extensive selection process to provide homeowners with courteous, factory-trained installers — they’ll get the job done right the first time and leave your home just as clean as when they arrived. Renewal by Andersen® replacement windows are tailored to fit perfectly in the space of an existing opening. There is no easier way to enhance the beauty of your home while avoiding the time commitments and mess of a personal home remodeling project. Our installation professionals are experts in their craft and every project is covered by a two-year limited installation warranty. Our trained installation teams know the importance of providing unbeatable quality work – and they have the experience and means to do so. Our installers are always on time. We install all materials to code. All of our installers are qualified to meet and exceed requirements set forth with the new Lead Certification requirements, both nationally and in Alaska. We remove and dispose of your old windows and doors properly and correctly install your new replacement windows and entry doors. When the job is finished and verified to your satisfaction, our teams cut no corners when cleaning up after themselves. Most installation projects last no more than one day, start to finish. With our courteous design consultants, polite installation teams, and top of the line windows and doors, it’s not hard to see why Renewal by Andersen® has been the choice of hundreds of thousands of American households. And to top it all off, Andersen® Corporation has been going strong for over 110 years, so you know you can rest assured knowing our warranty holds strong years down the road should you ever need it.